One true test of the health of a company is if they need to expand, and move to a larger facility. This company's new facility is twice the size enabling them to accommodate more field engineers, technical support and sales staff, in addition to enabling them to build a new service management function for better coordination and smoother operations towards the customer. Marlink’s Tokyo office has moved to new, larger premises as the Marlink Japan team grows to meet the needs of an expanding VSAT customer-base in the region. The office, which was first established in 1978, is located in close proximity to Japanese ship owners and is a key player in the region’s growing use of the latest satcom services such as Marlink Sealink VSAT and Inmarsat Fleet Xpress. 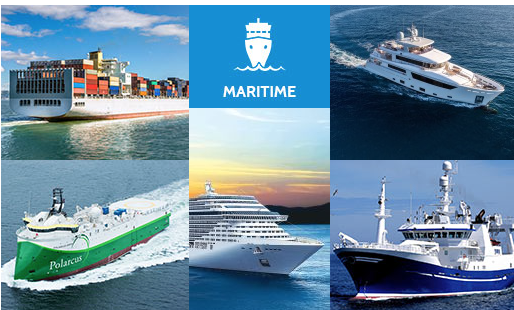 As part of Marlink’s global network of over 20 first-party facilities, Marlink Japan is currently playing a crucial role in supporting shipping companies to deliver more effective and available connectivity to crew members using multi-band VSAT services. In a double blind survey of Asian shipping companies in 2017, Japanese ship owners came out on top for committing to the use of satcom to improve crew welfare, which is reflected in VSAT customer growth in the region. Tore Morten Olsen, President Maritime, Marlink said that their satcom survey revealed that over 70 percent of Asian ship owners believe that VSAT can deliver a competitive edge and they see that Japan, along with Hong Kong, Singapore and South Korea are leading the way in adoption. said. With their deep understanding of the market, they believe that it is vital to grow their presence in Japan to ensure they are well-positioned to meet the changing needs of the large shipping industry there. Shinobu Suzuki, Marlink Japan said that the new location is over twice the size, which helps them to accommodate more field engineers, technical support and sales staff, in addition to enabling them to build a new service management function for better coordination and smoother operations towards the customer. The market here is very strong as more ship owners start to recognize the benefits that VSAT can bring to their operations, from helping to recruit and retain crew to providing a platform for digitalization that can transform operations and deliver significant efficiencies.